How does it compare with Hermes Kelly Caleche? It sounds quite similar. Since I first tried BV I have worn it almost every day. I can't seem to get enough of it. Ooh, you're making this so, so tempting! Lovely evocative descriptions. Another gorgeous Russian Saturday review. Wow, this is the most delicious description of Bottega Veneta I have read so far, I must try soon! Dang it. Several of my 2012 resolutions are now in danger of being broken.....but since I actually started lemming this in 2011, does it really count against a 2012 resolution? I just got a sample of Bottega Veneta. The blogosphere is raving about it, so I can't wait to try it! I can't compare it with Hermes Kelly Caleche. The last one is watery, and I can't smell leather in it, unless it's in a parfum concentration. In contrast, Bottega Veneta is not aquatic. It has iodine note, but is is not aquatic. It's a beautiful scent! Enjoy! Thank you so much, Anna! After reading reviews from other bloggers I was also very intrigued by this perfume! It's a dilemma... But I think no resolution should be stronger then a reality. I also could not resist writing about it! It has been a long time since I wanted to try this one. I like what I read in the reviews. 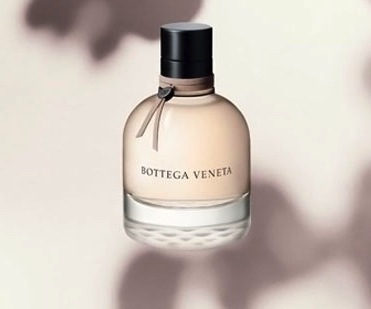 I liked what I read about Bottega Veneta and I love what I actually smell. I like the fragrance of David-off cool water. I have been using it for many years.